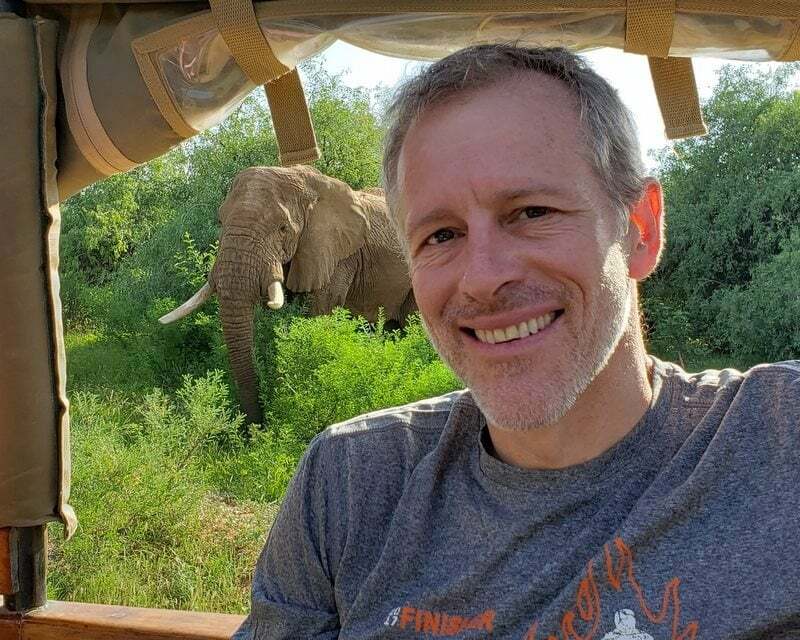 Whitney Tilson’s email to investors discussing his new Stock Idea of the Day, Naspers; Tom Russo; the only perfect bracket; debate on expelling students; question 6. Little-known Tencent (TCEHY) will be the world's largest company someday. 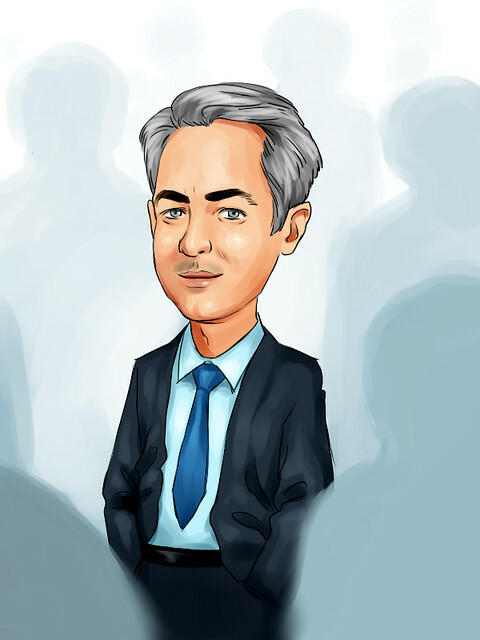 Little-known Naspers (NPSNY) is the best way to play it. Now, both of these stories are taking a giant step forward. And it means the value of these companies can finally soar to its true potential. Whether you are messaging with friends on its WeChat app, watching the NBA, playing online video games, or paying for stuff, Tencent is number one – and there is no number two. As Tencent moves toward monetizing WeChat, I believe it will become the world's largest company. Tencent is already worth more than $400 billion today, making it the world's eighth-largest company by market value, ahead of Johnson & Johnson (JNJ) and Walmart (WMT) in ninth and 10th place. The largest owner of Tencent stock – by far – is a little-known South Africa-listed tech company called Naspers. Naspers owns about $130 billion worth of Tencent stock (in addition to stakes in dozens of other tech businesses). …As I write, the market value of Naspers is less than $100 billion. Keep in mind, Naspers owns a stake in Tencent worth roughly $130 billion... AND it owns dozens of other "ecosystem" tech businesses, with full-service platforms that customers never want or need to leave. Clearly, Naspers' stock is trading at a big discount. 2) Following up on last Tuesday’s email, in which I linked to three podcasts with money manager Tom Russo, one of my readers sent me this link to a lecture he gave in India recently on Lessons from Global Value Equity Investing, which is posted on YouTube here (1 hour, 41 minutes). This year, tens of millions of brackets were entered into major online NCAA tournament bracket games. Midway through Sunday's second-round action, all but one of them had gotten at least one game wrong. The exception: "center road," a bracket entered into our Bracket Challenge Game, that has gone an astounding 48-for-48 so far, correctly predicting every single game through two rounds of the 2019 NCAA tournament. That’s worth repeating: the center road bracket has not missed a single game yet. We've been tracking brackets for years, and before this tournament, the longest streak we'd ever seen was 39 games in a row. That was an incredible feat. This shattered it. Monday, we tracked down the owner of the record-breaking "center road" bracket. His name is Gregg Nigl, and he's a 40-year-old neuropsychologist who lives in Columbus, Ohio. I don't think you should punish the kids. But if the kids are doing well in school, then they've earned their place there .... even if they didn't earn the invitation. And, assuming they had nothing to do with the fraud... that's a severe punishment, which they don't deserve. But in this case the kids have made real and important contributions to their education... how can you take that away from them? I know it’s harsh – but it has to be done. Imagine a guy who robbed a bank and then used the proceeds to buy a beautiful piece of jewelry for his daughter (who knew nothing about the source of funds). When he’s caught, he’s punished AND the authorities take back any ill-gotten benefits from the stolen proceeds. These are competitive schools and presumably the students would likely not have been accepted without the cheating, so they took a spot from some other more deserving student whose parents didn’t cheat. Lastly, keep in mind that what was just exposed – a few dozen parents caught cheating – is only the tiniest tip of iceberg. For example, it appears that there is widespread cheating among parents in Asia to get their kids into top U.S. colleges (see these articles: Elite Asian students cheat like mad on US college applications and How Sophisticated Test Scams From China Are Making Their Way Into the U.S.). And many other forms of cheating are outlined here, among both foreign and U.S. parents: College admissions officers: Parents bribe, cheat and lie all the time. Even if the parents might face punishment if they were caught, most I suspect would gladly risk the tiny chance of a short jail stint to get their kid into a more prestigious college – but ONLY if their kid wasn’t kicked out and/or got to keep their diploma if their scheme were uncovered. Your arguments aren't persuasive to me. Justice requires that the facts in the case be determined. Without that, no action should be taken. Parents outside the U.S. are totally irrelevant to the fate of the kids in the current situation; justice, for these kids, shouldn't allow evidence like this to be considered. Again, whether or not jail is a deterrent (and I believe it is a STRONG) deterrent should be a factor in whether or not you should punish the unwitting beneficiary of a fraud. Let's look at stolen property laws. It's a crime to receive stolen property, but only if you knew (or should have known) that the property was stolen. In this case, these kids received a benefit that was, essentially, stolen from another student through fraud. But, if they had no knowledge of that fraud, then they are not guilty of a crime. If they're not guilty of a crime, then they don't deserve to be punished, especially considering that the benefit they've received has expired. Kicking them out of school won't repair the damage that was caused. I don't see how inflicting harm on someone who isn't guilty makes this situation any better, for anyone. I think you are missing the forest (the systemic consequences of failing to take back the benefits of the fraud that was committed) for the trees (the unwitting students, for whom I do feel sorrow in most cases). I’m not saying that the unwitting students are guilty of a crime. I simply believe that if someone receives something of value that we later learn was the result of fraud or theft, then they should have to give it back. …Then you have just opened the floodgates wide for lots more fraud and theft. Imagine Tony Soprano buys his son a Ferrari and is then convicted and sent to prison. Does A.J. get to keep his beloved car? Of course not! To your point that “Parents outside the U.S. are totally irrelevant to the fate of the kids in the current situation…,” I disagree. In fact, I think the deterrent effect toward ALL parents who might be inclined to cheat, regardless of whether they fall under the jurisdiction of U.S. courts, is paramount here. Lastly, I disagree that “Kicking them out of school won't repair the damage that was caused.” The practical damage that was caused here (beyond the moral issues) is that a deserving student was denied admission to a top school, replaced by an underserving student. By expelling the undeserving student who only got in due to parental fraud, a deserving student, whose parents presumably didn’t cheat, can be accepted off the wait list. I fail to understand why you have so much sympathy for the undeserving student with the cheating parents vs. the deserving student with the honest parents. I think you are allowing status quo bias to infect your thinking – but it’s a fraudulent and unnatural status quo you’re arguing to maintain. This is a wonderful debate that my readers will enjoy I think! Does he like to do fun things and have a zest for life? Is he a happy and optimistic person?